Does cocoa butter lotion help complexions? Cocoa butter is one of the most widely used skin care products. Cocoa butter is an all-natural moisturizer that has many benefits, such as improving complexions. How Does Cocoa Butter Lotion Help Complexions? Cocoa butter has several benefits to the skin when used as a skin care product. Cocoa butter can make skin problems appear less noticeable and increase the overall elasticity of the skin, improving the complexion. Cocoa butter also works on several common skin problems. Dry skin can be tight, itchy, and annoying. Unfortunately, it can also be noticeable in your complexion. Severely dry skin will start to flake and peel. You can treat dry skin with cocoa butter lotion. Apply the lotion to the dry areas once or twice daily and you will see results quickly. The flaky, peeling skin will heal and your skin will be less irritated and itchy. Even a mild case of acne can cause several permanent scars. There are several types of acne scars. Every type of acne scar is noticeable on the skin and difficult to cover with makeup. Cocoa butter used continually over time may lessen the appearance of acne scars. This is due to the moisturizing properties in cocoa butter. If applied twice daily to the acne scar the lotion will work to plump the area around the scar causing it to appear less noticeable. Cocoa butter lotion may help with the appearance of wrinkles. Used continually over time, cocoa butter may soothe wrinkles and make them appear less noticeable. The results may take several months, but if used twice daily the lotion will lessen fine lines and small wrinkles. One of the most popular ways to use cocoa butter lotion is in prevention against stretch marks. Stretch marks can occur at any time, but are most common during puberty, pregnancy, or during periods of large weight gain. A stretch mark occurs when the skin is stretched beyond its elasticity. Stretch marks start as deep purple or red marks on the skin that fade to smaller white marks in time. Stretch marks are permanent, but cocoa butter may prevent them from forming on some people. Applying cocoa butter lotion to areas prone to getting stretch marks, such as the thighs, stomach, and chest, one to three times daily may prevent them from forming. Some stretch marks seem inevitable and will happen despite your best preventative methods. Once a stretch mark has appeared, it cannot be removed without surgery. However, cocoa butter may lessen the appearance of those stretch marks. Apply cocoa butter to the stretch mark twice or three times a day and message the area for three to five minutes. 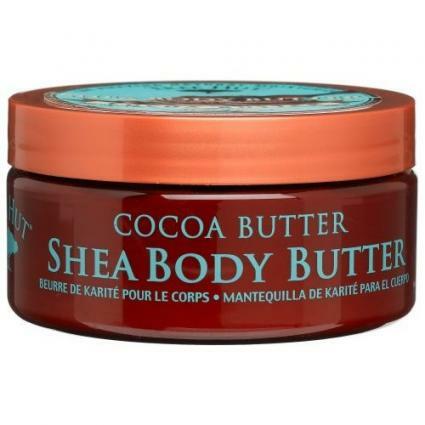 The cocoa butter will help plump up the shrunken skin and reduce the appearance of the stretch mark. Cocoa butter lotion is derived from natural ingredients and is safe for almost everyone to use, including pregnant women and people with sensitive skin. However, cocoa butter may cause damage to some people's complexions. If you are sensitive or allergic to cocoa butter, you should not use the product in any form. Using the product could cause the skin to get a rash or become swollen or irritated. It may also make you ill depending on the severity of your allergy. In addition, cocoa butter may worsen acne. You should not use cocoa butter to treat acne scars if you are still suffering from acne breakouts. However, cocoa butter is safe to use on areas of your skin where you do not normally see breakouts, as it is unlikely that the cocoa butter lotion will cause them to occur on those area.